Boxed Pixels: Hyperkin, The RetroN5 and Me. 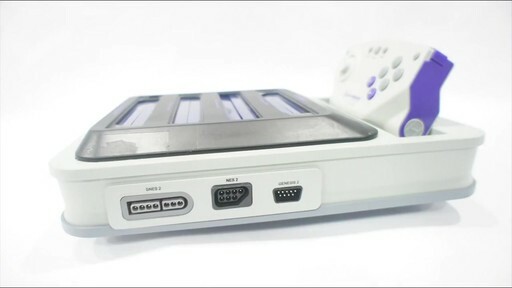 Hyperkin, The RetroN5 and Me. About six months ago I started writing about Hyperkin and their 'RetroN5' machine. Back then I, like everyone , was under the impression this was a clone console that somehow played nine machines using replicated hardware. I understand more purist collectors would hate the idea of playing their games on anything but an original machine but it's never been something that's bothered me, I after all play a lot of games on emulators on the train. This is probably why the revelation that the 'RetroN5' was an elaborate multi-machine emulator rather than a hardware clone also didn't bother me. To be honest I didn't mind how the games went from cart to screen, they were being up-scaled and looked better than ever - what was not to like? I was sold on the system but I simply couldn't buy it. Global release dates kept being delayed and even a US release for the 'RetroN 5' didn't get us a confirmed European launch date. Presumably because I had enthusiastically written about the machine several times I had a line of communication with Hyperkin for a time. This was great because it meant I could ask about the progress of the system but with this (limited) access came a sense of responsibility. Because I had included quotes from Hyperkin in writings both here and on other sites people presumed I spoke on their behalf, but I was just as confused and frustrated by the delay as others . I simply couldn't answer when the machine would be in UK stores because my contact at Hyperkin was not replying to my Skype messages. After 16 months of waiting for the machine I was convinced we would never see the machine in Europe and had written an article saying just this. Literally on the morning that the article was to go live (last Friday) I was contacted by a friend at Fun Stock who said that they had a confirmed shipment of 'RetroN5' consoles on it's way to the UK from Hyperkin. Obviously with this revelation my original article was pulled and instead I had the honour of writing the announcement that the machine was coming to the UK after all. I still am desperate to get my hands on the 'RetroN 5'. I have no idea now if I will get one from Hyperkin (as was once promised) or if I'll have to buy one but I am just happy it's on it's way to Europe. Admittedly if I had known how much grief writing about the console would cause me I probably wouldn't have opened that can of worms, but it has been an exciting ride. I just hope the 'RetroN5' is worth the wait, never have I anticipated a machine more. If like me you want to get your hands on the 'RetroN 5' make sure you preorder one, as stock on release will be very limited.